More hearts; bookmarks, fridgies etc. 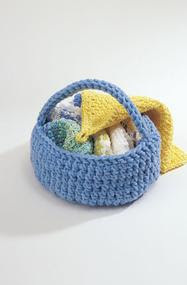 I love the “Crochet Talk’s Ultimate Crocheted Kitchen Gift Basket” – it’s so beautifully organized and someone has really worked a lot to put everything in neat little boxes 🙂 The only problem is that it was created 2000 and now is 2007… a LOT happens in 7 years. So – here’s the updated version of it. You can use any simple pattern for towel, toweltopper and apron; just add a button that fits the theme, or use fridgies as appliques.